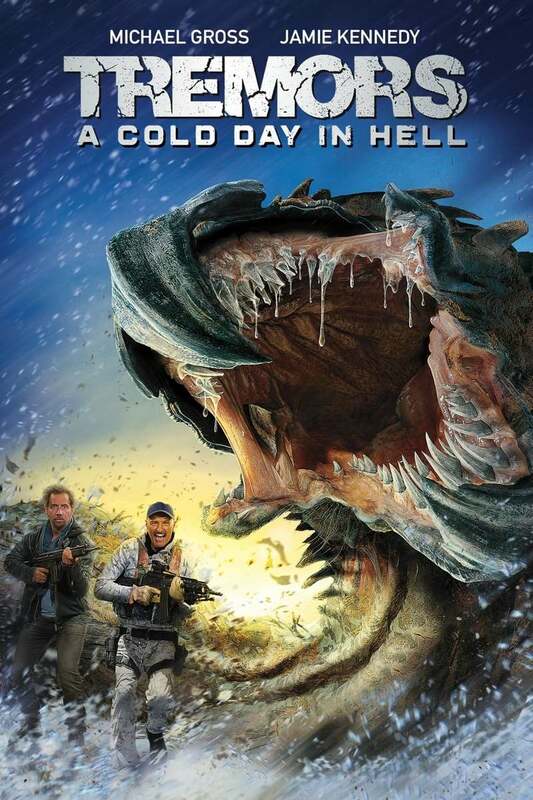 Tremors: A Cold Day in Hell DVD and Blu-ray release date was set for May 1, 2018 and available on Digital HD from Amazon Video and iTunes on May 1, 2018. The earth-shaking, people-eating Graboids are back! Survivalist Burt Gummer and his son, Travis, have been hired to help stop Graboids that have been killing people at an Antarctic research station. After a Graboid sinks its venom into Burt, those still alive at the station must find a way to milk a Graboid to create an antidote from its venom within two days or he will die. Burt then discovers that these new Graboids have likely been turned into weapons by not-so-innocent researchers. He must deal with threats both from below the surface of the ground and right next to him.